Dial the number provided in the meeting invite to join by phone. Click on the link provided in the meeting invite to join via the web and view the demo. If you have a headset, you can also dial in over Web Audio. You'll need to add your name and work email to enter. If you use a modern browser you will be able to join right away. For customers using an older Web browser, a desktop App will need to be downloaded and installed to access the Web Conference. If required, the App will automatically download. This should be accepted and installed on the computer. The exact instructions differ for each browser but guidance is given during the download and repeated below for your reference. The "Downloads" button should be clicked to select the App. Double-clicking this will start the installation process. 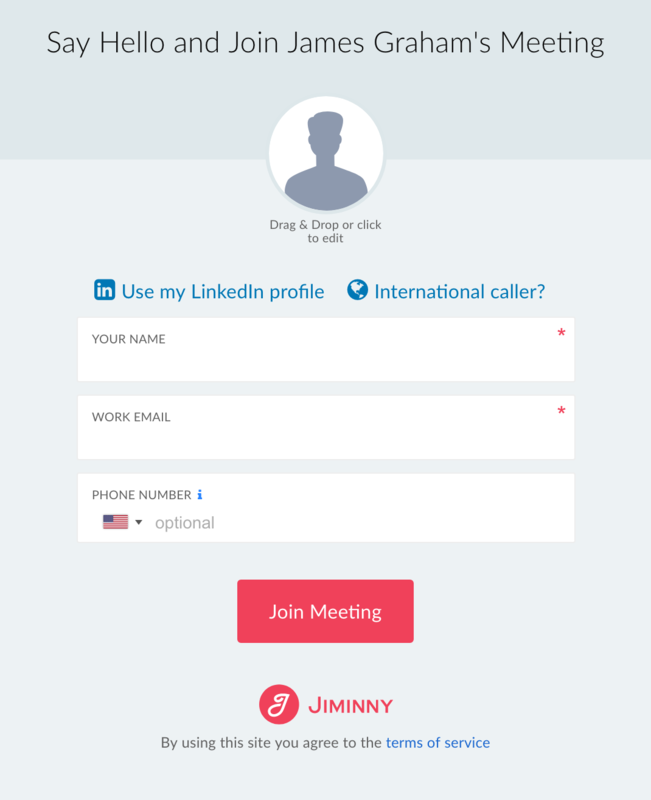 To install, simply drag-and-drop the Jiminny Conference icon into Applications. Clicking the "here" link will take you directly to the meeting. Click "Run" to install and open the application. Click "Save" and then "Run" to install and open the application. If the App is already installed, it can be launched and the meeting joined directly. 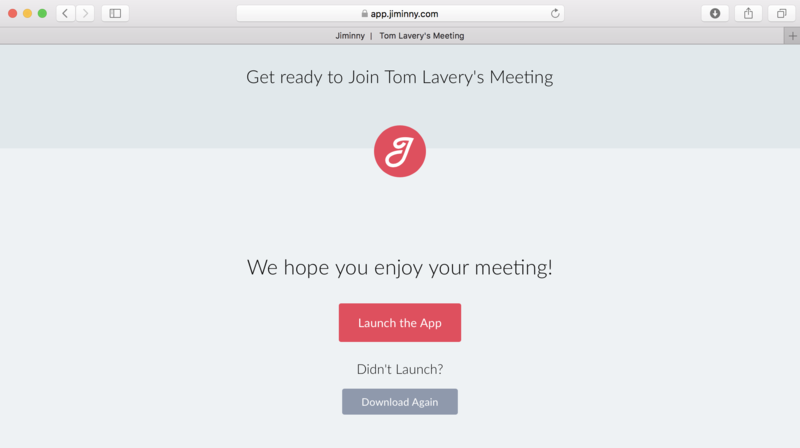 Alternatively, if joining via a Web browser, clicking the "Launch the App" button will join the specific meeting. The App is a very similar experience to the Web version. In some cases, the Meeting ID will need to be provided. This is provided in the meeting invite.